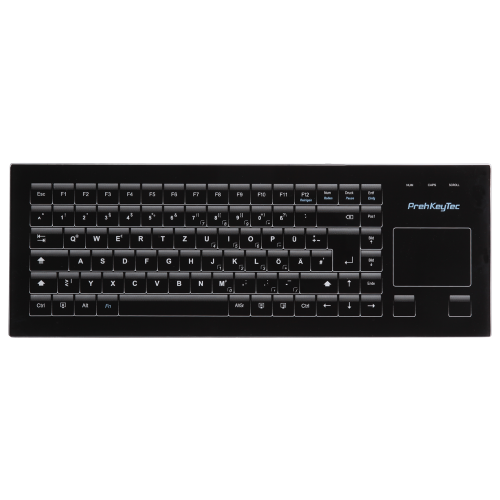 PrehKeyTec GIK-2700 is an alphanumeric keyboard with a glass surface for use in industrial applications. Special sensors execute the relevant key codes when the surface is touched. For optimum use, this keyboard is also equipped with an integrated glide pad. The technology used can also be operated when wearing thin gloves. The surface is resistant to acid, hand perspiration, dust and fluids.